Recently I was explaining to a friend some of my "priorities" in life. I actually used the expression "my roles" and began to list my life's roles in order of importance. "I am a husband first and a father second," I said. "When God allows it again, I will be a pastor." And then I went on to list a few other roles I play in my life. Later I wondered if I had offended him (probably not) by not listing "Christ-follower" as my first role. But as I thought about it, I was glad I hadn't. And as I think about it now, I wouldn't list that as my first role if I had it to do over again. 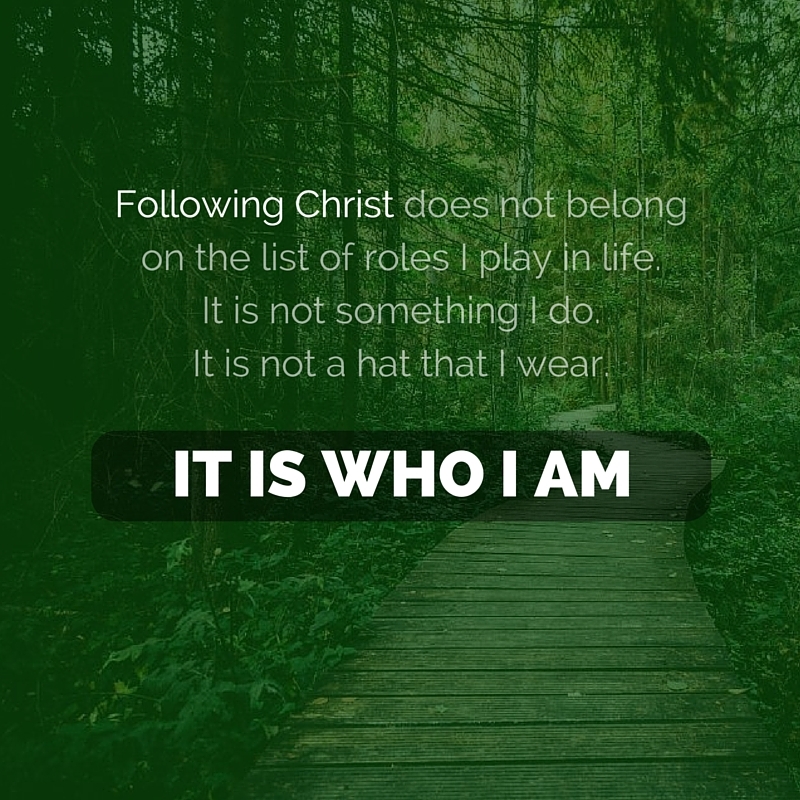 I know that may be a difficult acknowledgment for some to hear, but please read the rest.I don't think following Christ belongs on the list of roles I play in life. It is not something I do. It is not a hat that I wear. It is who I am. Every role I play is temporal. Even the marriage commitment (which is "til death do us part") is not forever. Jesus said there is no marriage or giving of marriage in heaven. Following Christ is the only part of me that is forever, and for that reason it must be so much more than just a part of me. I am a husband first. 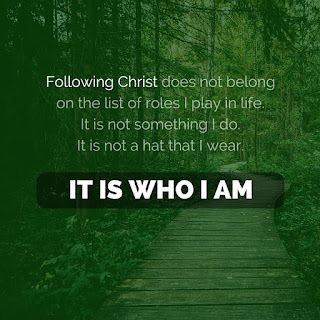 But I am a husband that follows Christ. I am a father second. But I am a father that follows Christ. I am a soccer coach. But I am a soccer coach that follows Christ. Sometimes, I am a bus driver. But I am a bus driver that follows Christ. If ever my pursuit of Jesus becomes something other than the central definitive element of my life, then I have lost my compass. To abandon that core is to return to a life of death, a life from which I was rescued long ago. To say that He is my everything is nice, but to live knowing He HAS my everything is better, and to die to everything but Him is best.